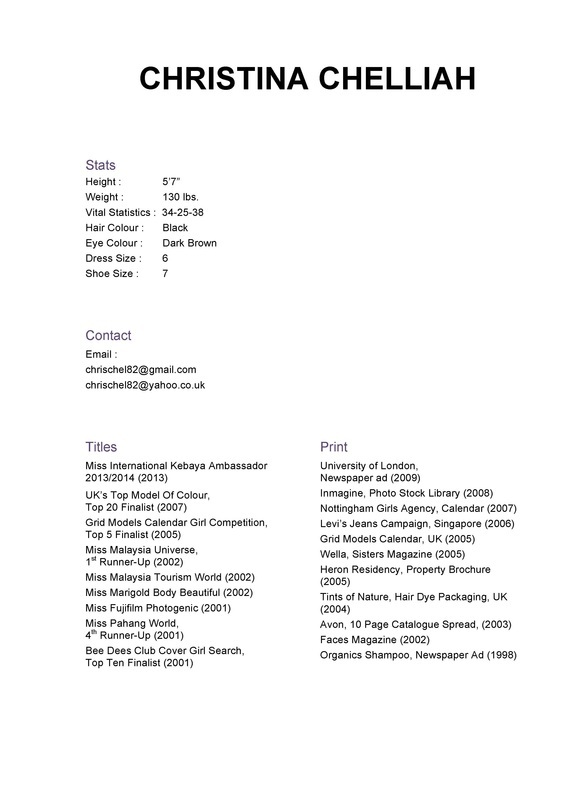 Christina has recently located to New York from Malaysia, and is pursuing modeling and acting opportunities at present. 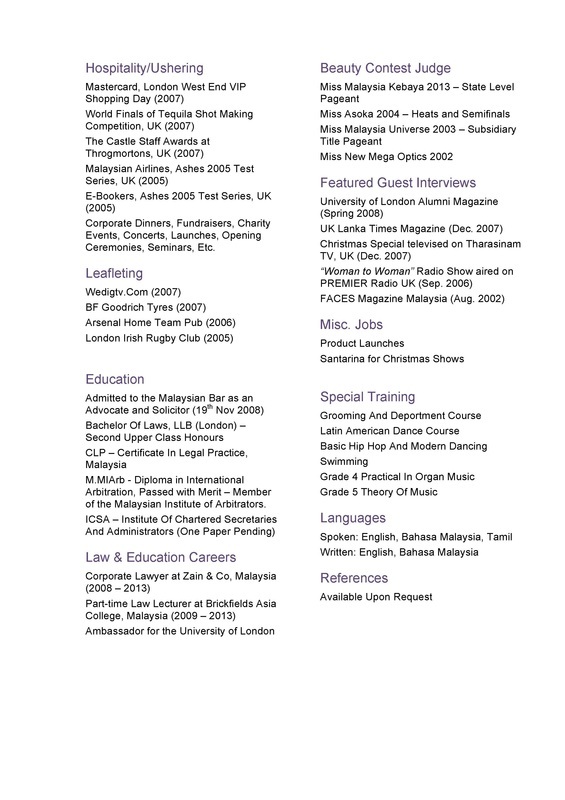 She is a qualified lawyer in Malaysia and has practiced as a corporate lawyer for 5 years at a leading Malaysian law firm while also lecturing law part time at the largest independent law school in Malaysia. Now that Christina is based in NYC, she intends to pursue modeling/acting/hosting/related opportunities on a full time basis and take a small hiatus from her legal career. 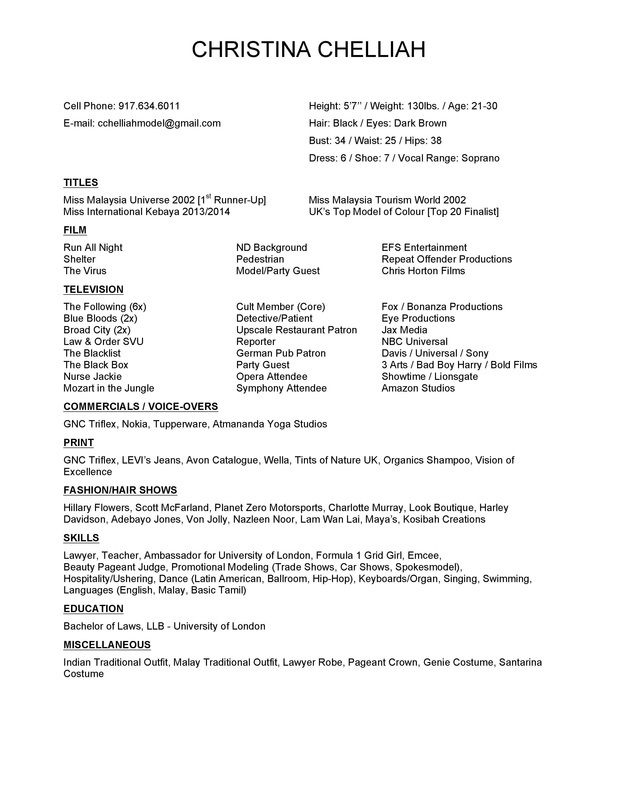 Please scroll down to view Christina Chelliah Resume and contact information.